Our clients are offered precision engineered Former Assembly. These assemblies are manufactured with the aid of hi-tech machines and facilities. Moreover, these assemblies depict quality of highest order and boost the production process at client’s end. We offer a comprehensive range of Assembly Conveyors. We offer a wide assortment of Diode Assemblies, which is available at industry leading prices. Our complete range is manufactured using high-grade raw material sourced from established market vendors. These products are widely used for reverse supply protection and auto shift to battery supply in case of main. - Fast assembly of windows, doors and elements. - Maintains an accurate balance by means of parallel clamping unit. 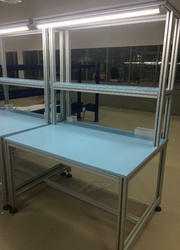 - The upwards slide movement of the table eases working on the frames. - The glazed frame can be packed and then transferred effortlessly by sliding on the reels. We manufacture a wide range of assemblies for our customers both in the auto sector and otherwise. Our products include End cap assemblies for solenoid switches of starters of four wheelers, Wiping System assemblies and links for Wiping systems, Brush Box assemblies, Mini Circuit Breakers and a host of other assemblies. We supply a wide range of PCB Assembly components that comprises of connectors, switches, cables and miscellaneous equipments. All these electronic components can be customized according to the specifications of the clients. The assembly components that we offer are widely used in a number of electronic devices. Our industry excellence allows us to manufacture, supply and export highly advanced Special Purpose Assemblies. 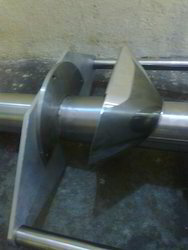 Special purpose assemblies is a process equipment made of stainless steel high quality raw material. Made in compliance with the industry standards and latest designs, our special purpose assemblies can be customized as per the specifications provided the clients. • High speeds with perfect results. • Straight yarn path with minimum yarn quality deterioration. We have drawn section C1 arrangement drawing for L & T Main Assembly.